An impressive landscape and intact nature make hiking and trekking in South Tyrol a lasting holiday experience. 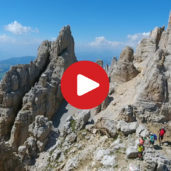 South Tyrol offers a huge variety of hikes. 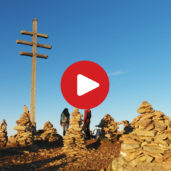 Starting from easy family hikes to more challenging summit hikes, mountains in South Tyrol offer something for everyone. Hiking along mountain pastures is just one of the highlights that can be enjoyed in the Monte Cervina region, situated between Scena, Merano and the Val Passiria Valley. When the alpine roses are in bloom, the mountain pasture resembles a bright red carpet. The landscapes and fascinating views, make this a particularly enjoyable hike. We take the Verdins cableway all the way up before treating ourselves to a wonderful panoramic trip with the Talle-Grube lift. Starting at the Hirzer cableway, we begin a comfortable hike along the mountain pasture. The trail E5 goes past the Rifugio Hirzer mountain hut, the Malga Resegger, Malga Hinteregg and Malga Mahd. These four alpine pastures are open for business, making it the perfect place for a family trip. Nova Ponente is the starting point for many, diverse hiking trails. One such trail is a two and a half hour circular hike from Nova Ponente to Wölflhof farm, passing by the Kaplun farm before heading back to Nova Ponente again. 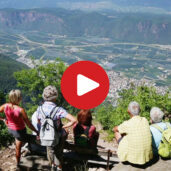 Hikers with some free time can discover Rotenstein, only an hour away from Wölflhof farm, and enjoy panoramic views of the Val d‘Adige Valley. In the Val Venosta valley, between the borders of Italy and Austria, a weir system was built during WWII, the heart of which was a tank barrier. We will take a closer look at this barrier, as well as the various bunkers which lie 550 meters above Resia. On the way there we enjoy a pleasant, circular hike and inspect the source of the river Adige, the biggest river in South Tyrol. There is a spectacular hike waiting to be discovered in the Gruppo di Tessa Nature Park. 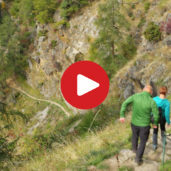 This hike takes us through the Thousand Steps Gorge, located between Monucco and Unterstell. A nine-kilometre long walk awaits us. Our hike to Lake Zirmtal begins at Castellbello in the Val Venosta Valley. The hiking trail winds through a beautiful autumn landscape, as we idly wander through a golden larch forest before finally enjoying the peace and tranquility on the shores of the lake. Our autumn walking tour takes us from one hiking trail to another. The tour begins at the village of Silandro in the Val Venosta Valley, where we explore the Sun Promenade leading us to the Ilswaal Waalweg path. The church of St. Egidio, steeped in history, is found along the way as well as the sounds of the soft splashing of the Zaalwaales, located above the village of Corces. The Aica Farm trail contains some of the most beautiful farms that are found in the Sciliar region. The original architecture has been very well preserved. This trail, at the foothills of the Fie‘ mountain range, offers an impressive tour through varied natural surroundings and cultural landscapes. Our trip to the Sopranes lakes begins from Velloi in Lagundo. These high-alpine lakes can be found situated in the heart of the Gruppo di Tessa Nature Park, South Tyrol‘s biggest nature park. Our hike today starts by stepping out of the Spitzbühel chairlift, high up on the Alpe di Siusi pasture, where we march right up to the highest point on Mount Petz. The Plima Gorge Trail in Martello, found in the Val Venosta valley offers spectacular views of a high alpine, water-world found in the middle of the Stelvio National Park. The hike there and back lasts around two hours and is around 6km in length. The trail is marked with four accessible, artful steel constructions. Unique landscapes surrounded by nature as well as one of the biggest alpine lakes found in South Tyrol, wait to be discovered. 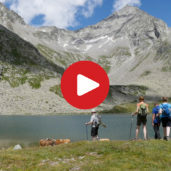 There is much more to see and do as we go on an extensive, circular hike through the mountainous world of the Val Aurina valley. A pleasant hike through the lovely alpine pastures of Luson with a rather special feature waiting for us. The only hint we can give is ship ahoy! An atmospheric sunrise over the “Stoanerne Mandeln” in the Val Sarentino valley. After a short ascent we reached dozens of cairns. One of the most mysterious sights in the Val Sarentino valley. Sunrise on the Cima di San Cassiano mountain in the Val Sarentino valley. 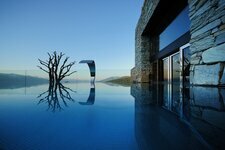 We enjoyed the breath-taking view on the Valle Isarco valley and the surrounding mountains in the early morning. Hiking in the pristine and almost untouched Valle di Scaleres valley by Varna. A somewhat challenging, half day hike, takes us up to the Schrüttensee lakes (Laghi Gelati), resting at an altitude of 2000m. Our hike takes us to the Stone Age settlement of Enzbirch. Situated on a hill with heavy growth, the ruins of a walled fortress can be explored while enjoying stunning views of the Adige Valley. Car-free, breathtaking panoramas and indescribably idyllic. This is the side of Monte San Viglio that can be seen during the winter months. Whoever has intensely experienced nature in pristine, snow covered forests and fields, will appreciate experiences such as these. A rare peacefulness, combined with warm sunshine, the soft, crunching snow underfoot and crystal clear mountain air that rejuvenates the mind and soul. We enjoy the most original cinema in South Tyrol, where we see a breathtaking nature film. A pleasant hiking trip for adults and children around the village of Nova Ponente which takes us to the La Malga and Pietralba mountain pastures. Alpine hiking surrounded by the stunning mountain backdrops of the Ries-Aurina nature park. Awe undertake a somewhat challenging day trip that takes us to the Rifugio Roma mountain hut and further on to the Lago Malersee Lake situated at an altitude of 2500m. The Colle di Bolzano mountain, situated very close to the provincial capital of South Tyrol, has little traffic and an abundance of nature. 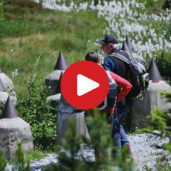 Obereggen is a real hiking paradise for both young and old! No matter if you search for a challenging hike in the legendary Latemar area, a nice path for a family hike, as for example the Latemarium or a high rope course – there is something for every taste. Obereggen, situated in the Dolomites, a UNESCO World Heritage Site, is also very attractive for cyclists. Andrea Unterweger is not simply a florist, and her business Blumen Edelweiss is not merely a flower shop. It is an artistic, creative workshop in the middle of Nova Ponente which lies at the foot of an impressive mountain backdrop known as Catinaccio-Latemar. Here, there is a melting pot of fashion, design and architecture which is the basis for unique, floral creations. One of the newest pieces is a wedding gown made out of tulips and during the production, we got to peek over the shoulder of Andrea. The mountain world has endless facets and contains magic moments. Particularly lovely and peaceful the mountains are in the evening and at sunset. 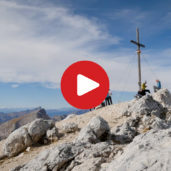 In the Val d’Ega valley the Corno Bianco mountain is located, which is perfectly suited for a sunset hike, due to its accessibility and the gorgeous all-round panorama. At a fantastic summer’s eve we were there with the camera. Soon it begins… The first rays of sunlight, come into view. Going up to an altitude of 2000m with the cable car in the Jochtal valley in Valles, we experience a picture perfect sunrise. 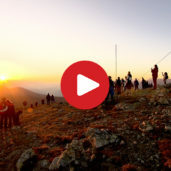 Those who are willing to get up at the crack of dawn will be rewarded with the most beautiful view that the summer has to offer, high up on the summit of the “Stoanernen Mandl”. A family friendly, circular hike in the holiday destination of Val Casies-Monguelfo-Tesido awaits, where the two summits of the Monte Luta, and the Durakopf mountains lie, leading us, to the Malga Tesido alpine pasture. A wonderful hike through the unique landscapes of the Dolomites. The Tre Cime, a UNESCO world heritage site becomes a tangible reality for passionate hikers. During a hike in the ski and mountain pasture range Gitschberg Jochtal, the beautiful Fundres mountains paint a breathtaking backdrop as we discover quaint pastures as well as a pristine glacial lake which lies at an altitude of 2350m. 100% pure mountain adventure can be found at the Latemar massif. Leaving from Obereggen, we take the the panoramic ski chairlift to the summit station of Oberholz. Here we discover the beauty of the Dolomites and set the Torre di Pisa mountain refuge as our goal. Come with us and experience this mountain tour, a scenic tour on a whole, new level. Today we make an excursion to the sunny side of the Alps. Our hike proceeds along the famous Meran High Route, starting at Katharinaberg in the Val Senales valley, to Unterstell. We go by bus and cable car, walk through gorgeous autumnal landscapes and enjoy a very varying hike across meadows and woods. La Val, located in a side valley of Val Badia, in the Fanes-Sennes-Braies Nature Park, is the first certified Hiking Village of South Tyrol. We have visited this idyllic spot in the Dolomites and discovered a real hiking paradise. With its 12 km the Marlengo Waalweg Path is the longest one throughout South Tyrol. Above the Meran basin we walk through chestnut groves, apple orchards and past steep rocks and enjoy gorgeous panoramic views. The adventure trail offers information about flora and fauna in this region. Come with us and discover some particularities. The Malga di Tarres alpine pasture in the Val Venosta valley is starting point for numerous high alpine hiking tours. 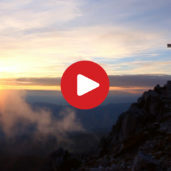 Today we show you gorgeous peaks on the Val Venosta Monte Tramontana mountain. The tour leads us up to the high mountains, the camera crew is pretty challenged. Although we experience a fantastic sense of delight! Our winter hike today takes us up onto the Bullaccia mountain pasture which can be found at 2.176 asl. Some of the most impressive vantage points of the Sciliar mountain range can be found at Belluccia. In winter this is a great place for an excursion for everyone seeking to find the tranquillity and peacefulness of the mountains. No matter if you prefer walking comfortably round a lake or you decide to scale the highest mountains, South Tyrol offers a wide range of tours! More than 17,000 km of trails are spread all over this area, representing the foundation for unforgettable hiking holidays. 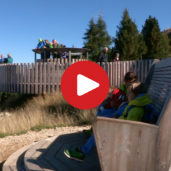 Above all the panorama in the Dolomites will fascinate you, alike the intact nature in Gruppo di Tessa mountain range or the calm in Sciliar Nature Park. 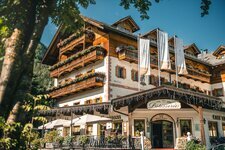 In summer particularly alpine tours are very popular, as in higher altitudes you cannot only enjoy a great view, but also refreshing temperatures. In spring, however, you can pleasantly walk down in the valleys, when nature comes out of hibernation and a sea of colourful flowers covers the meadows. No matter if you explore higher realms or enjoy walking down in the valleys, you will love hiking in the great outdoors of South Tyrol! South Tyrol offers plenty of walking and hiking tours in every season of the year. To hike in the Dolomites means to experience new adventures.